My Reversible Skirt is Back! 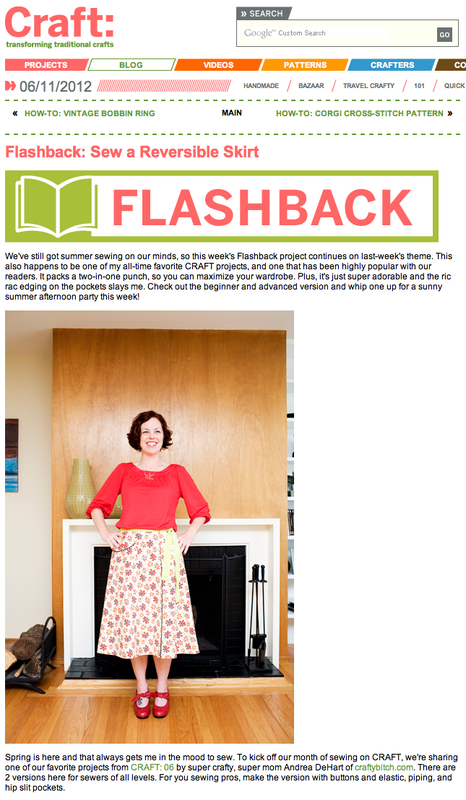 Craftzine.com featured my Reversible Skirt Project from way back in the day. So fun to see projects still being circulated and appreciated. Miss my shorter locks, but still rock my reversible skirts and red heels! You can download and sew your own reversible skirt here.